It’s finally here. 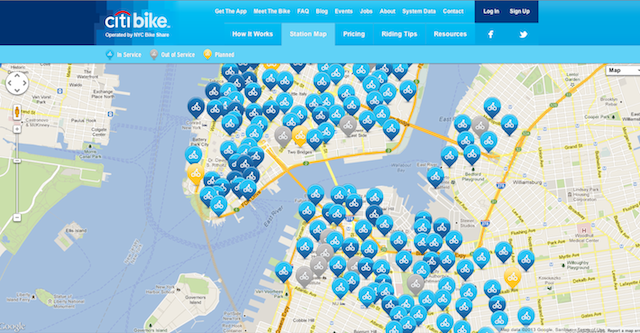 New York City has launched a bike share program called Citi Bike. Now New Yorkers and tourists alike have more choice in public transportation: 6,000 bikes are stationed at 330 racks around Manhattan and Brooklyn. Passes allow for unlimited 30-45 minute rides, and are priced for the day, week or year. Before committing to an extended pass, take a trial run after attending a free Street Skills class at Bicycle Habitat in Soho, or Red Lantern Bicycles in Fort Greene. Visit bikenewyork.org for more location, payment and planning details or citibikenyc.com.